Today, we would like to talk about the importance of maintaining the exterior features of your home. More times often than not, our home inspectors in Tustin run across issues that many homeowners fail to keep up. This applies to both people living in Single family residences and for those living in Townhomes. There is a common misconception for townhome owners that if repairs are needed in the “common” areas of the property, then the Association is responsible for these repairs. This is not necessarily true. The folks here at Ingraffia Home Inspections have compiled a simple, yet very important list of “common area” features that may be the responsibility of the homeowner. Roof defects are huge on townhouses. Many times, nobody knows about the defect yet, or in some cases, someone knew about a problem and made several unsuccessful attempts to repair it. 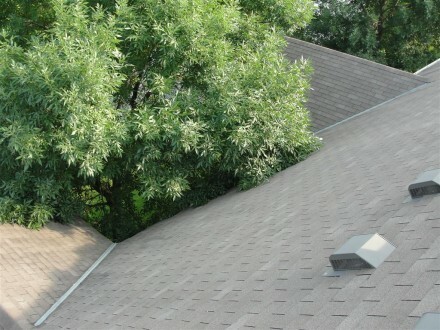 Tree branches should never touch roofs; they cause problems ranging from roof damage to allowing pests and vermin to gain easy access to crawlspaces, walls and vents. This is like leaving your door wide open for anyone to walk in. Home inspectors find more problems with decks than with any other component of a home. 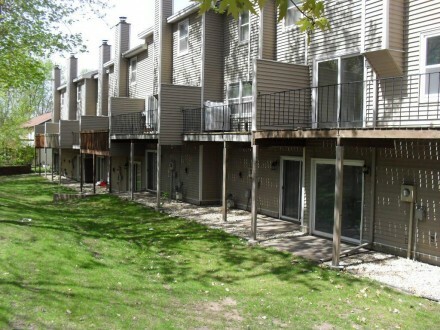 With townhouses, decks are often the sole responsibility of the homeowner; if you see a bunch of different decks in various states of repair, it’s usually a dead giveaway that the deck is the owner’s responsibility, not the association. When all the decks look identical, it’s pretty safe to say that the decks are the responsibility of the association, but it’s still important to know that your deck was properly constructed and safe for use. An extremely common defect that I find on decks is improper nails used at the joist hangers; it doesn’t matter if it’s a townhouse or not. 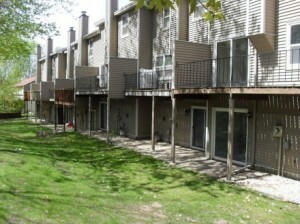 An improperly attached deck is the number one cause of deck collapses. During your inspection, we will look for any missing nails, joist hangers, and anything that may look out of place. 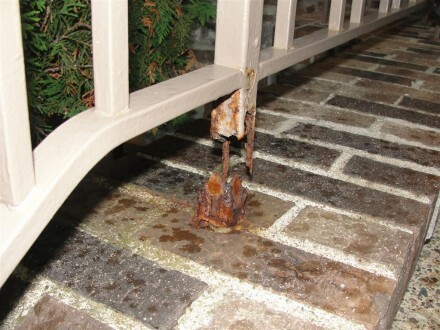 Don’t be the victim of an injury due to a poorly maintained deck. On townhouses, exterior maintenance is obviously the responsibility of the townhouse association, but again, is the association aware of the big projects that are going to cost a lot of money? If not, this means an assessment for the owners. From inspecting rot and mold on wood retaining walls and fences to rusted and damaged metal railways and gates, allow Ingraffia Home Inspections to help assess and determine who should be responsible for these types of repairs. In conclusion, the best thing you can do when living in a Townhome association is to be informed of your rights and know where your responsibilities lie for exterior repairs and maintenance. Also remember that an Association may not know about these needed repairs unless someone tells them. Avoid the costly repairs that you may be on the hook for and inform the proper personnel to bring immediate attention to the issues before someone can get hurt.